Vecino’s Airline Children’s clinic is a host site for The Reading Express, a new county-wide program to help children gain important literacy skills before they start kindergarten. Recognizing the need to support all aspects of healthy development, Vecino Health Centers is partnering with local nonprofit Making it Better to bring a weekly reading readiness program to Airline Children’s Clinic. As the Director of Pediatrics at Vecino Health Centers, Dr. Juan Olivares spends his days attending to the health of his young patients. But it isn’t just their physical well-being that interests him. He also spends a lot of time talking with parents about their children’s learning development and progress in school. So much time, in fact, that he decided he needed to do more to help. 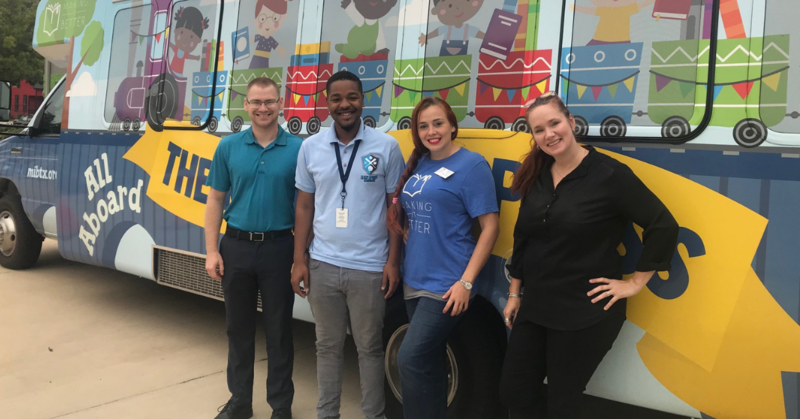 As part of this commitment, Vecino’s Airline Children’s Clinic recently became one of the host sites for The Reading Express Mobile Classroom, a new county-wide program aimed to help under-served children gain important early literacy skills. The Reading Express is a dynamic school on wheels for children ages two months to four years, along with their parents or caregivers. It is staffed by early childhood specialists. Research shows that starting kindergarten ready to read is the single most powerful predictor of whether a child can read on level by the end of third grade. And yet, sixty percent of Houston area children enter kindergarten without the skills needed to learn to read, putting them at a disadvantage even before they start school. Programs like The Reading Express aim to change this, giving all children access to engaging literacy activities from a young age and helping build a strong foundation on which those children can develop and thrive. 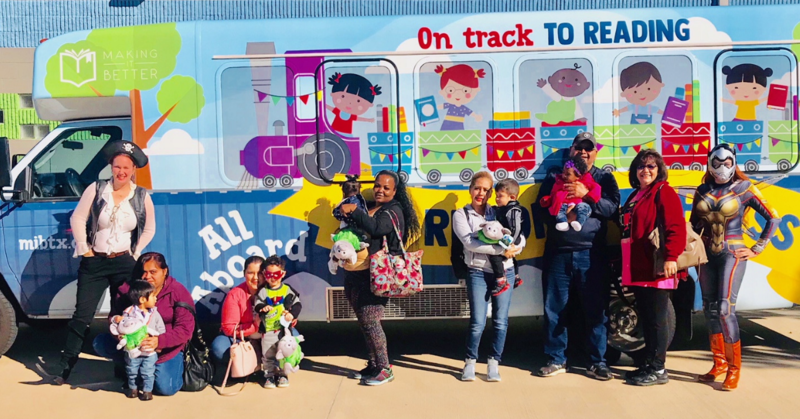 Staffed by early childhood specialists from Making it Better, The Reading Express is a dynamic “school on wheels” open to all children ages two months to four years, along with their parents. The program involves interactive activities such as reading exploration, nursery rhymes, songs, art and play. Parents are also empowered and taught new ways to take an active role as their child’s first teacher, extending the learning well beyond the weekly sessions. The Reading Express program is at Vecino’s Airline Children’s Clinic every Thursday morning from 9:30 to 11 am. Advance sign-up is not required. Every child receives a free book each week he or she participates. If you know a child who would benefit from The Reading Express, contact Making it Better.